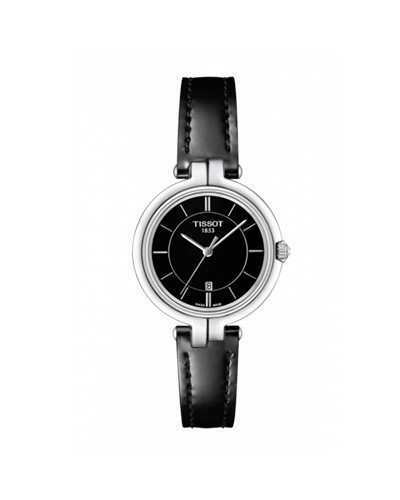 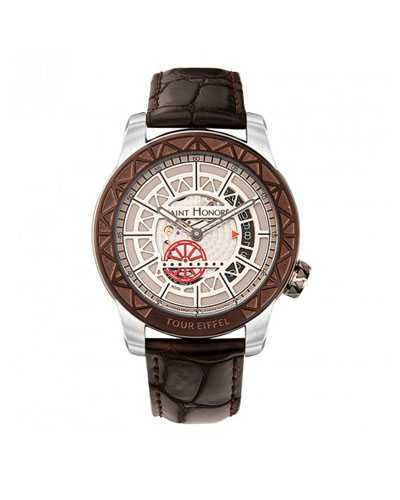 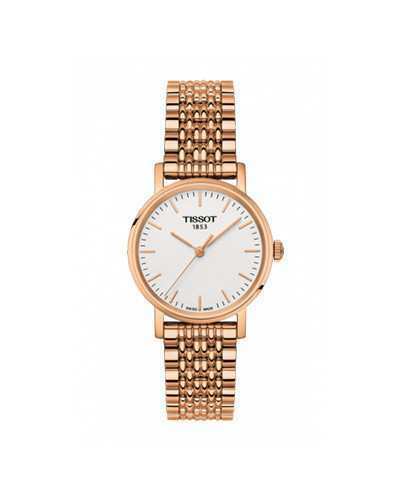 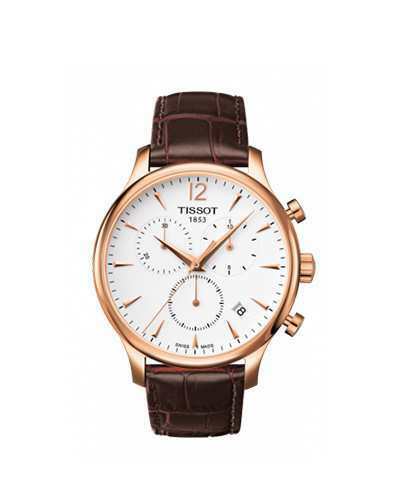 This exquisitely crafted watch adds a personal character to your look of every day. 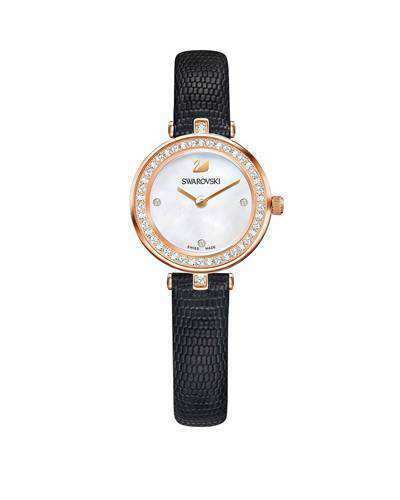 The Swarovski crystal and white-pearl dial not only showcases brilliance but also complements other jewellery. 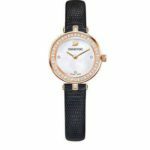 The rose gold-plated stainless steel case, the transparent Swarovski crystal scale and the black lizard-print leather strap also complement each other, making it an ideal accessory for a sparkling look.